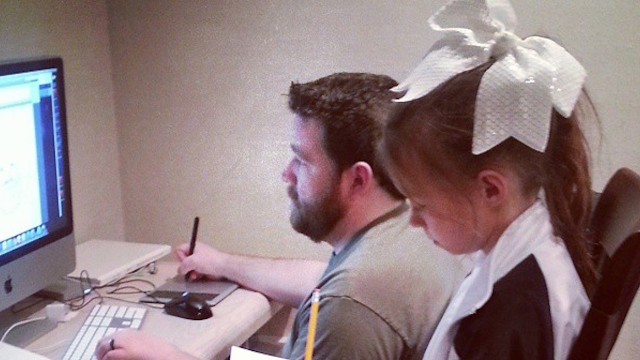 Sweet photo of father/daughter togetherness ruined by freaky optical illusion. WHOSE FEET ARE THOSE?! GET OUT OF MY HEAD! 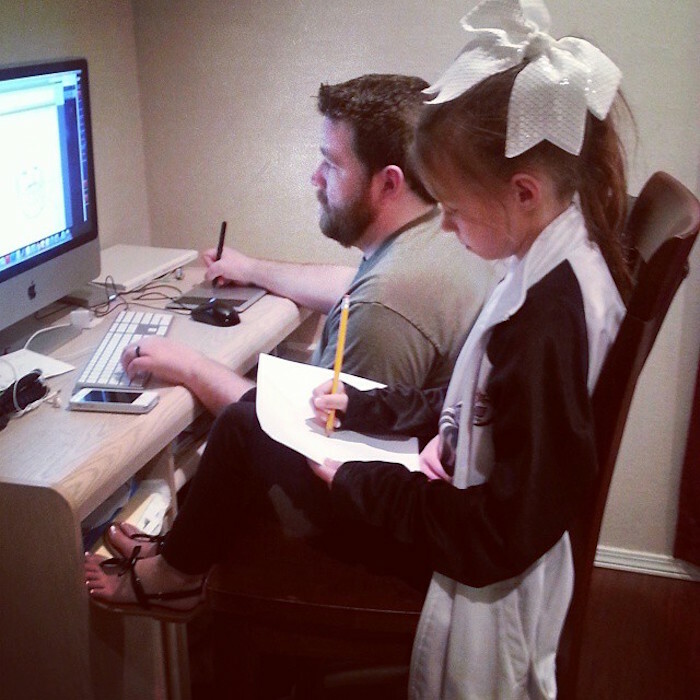 My wife took a picture of my daughter drawing with me. At first glance, it looks like she's standing next to me, and I have very dainty feet. Once you get it, it's not hard to see what causes the illusion. His daughter's jacket is hanging down, making it seem like she's standing. Meanwhile, her legs and the chair are shadowed, making it plausible that her feet are on a different perspective plane. An expert in visual perception would probably be very excited by this photo, but listening to him or her describe why would be boring. The Internet is going crazy trying to spot the animal hidden in this optical illusion. This girl's mind-bending optical illusion tattoo is starting a viral dialogue about depression. This ‘reverspective’ painting by artist Patrick Hughes is super duper trippy. Woman runs her hands through her secretly magic hairdo and melts the Internet's brain. There are no private parts in this picture. Honestly. This trippy color-changing cake is much better than The Dress because you can eat it.